Are you a predator hunter? 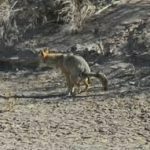 Finding the best scope for night hunting coyotes is an important part in making sure you have a successful coyote hunt. There are many things to think about including light, night vision, what season it is…etc. Ideally for any predator hunter while varmint hunting, the target would step out within 40 yards of the area with plenty of light available. Since that is usually not the case for hunters, hunting coyote at night has taken off thanks to available night-vision equipment options. Sometimes all there is to see is are the eyes of the animal and it could be anything; livestock, a deer, a dog, bobcats, wolves, or some other type of wildlife. Years ago night vision was thought to only be available for military snipers in the field or the super wealthy- that is not the case anymore. Hunters in most states are able to hunt coyote with a night vision scope, and use the coyote’s stealthy night time habits against him. 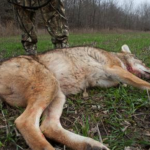 Putting the best scope for night hunting coyotes on your rifle for any predator hunting situation will make the difference in getting the kill or walking away empty handed. 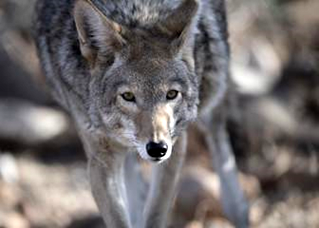 Coyote hunting can be done with a wide variety of calibers. Some prefer a smaller rifle such as a .22 or .17, and others use their regular hunting rifle they bring deer hunting or for other big game. Having a larger rifle is not always better when it comes to predator hunting for smaller animals. 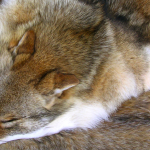 Smaller, flatter shooting, and quieter rifles have an advantage when after these nuisance animals, especially when hunting at night or wanting to preserve the pelts. When using these smaller calibers and setting up a rifle solely for predator hunting, you still want to have a high quality rifle scope, especially one that will perform well in low light. 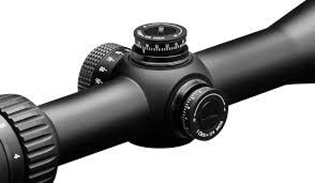 When choosing a rifle scope for your favorite predator gun there are many factors from magnification and area you are hunting to hunting light that influence which scope you should buy. You do want to have a good sized objective lens since the bigger your lens, the bigger your sight picture will be to give you more light. Whether you are after coyotes, foxes, hog hunting or just want to add a new element to your varmint rifle, these three scopes for night vision hunting are worth taking a look at. 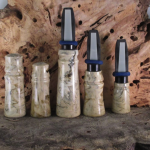 Want to hunt during daylight hours but have trouble with predators only being active at night? With the Sightmark Photon XT 4.6x42S Digital Night Vison scope you get the best of both. 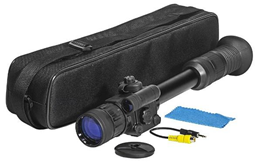 This scope is great for night vision hunting with up to 120 yards of view, and also functions well in daylight. The Photon digital night vision scope has been a popular choice for many due to the rising popularity of night vision hunting and the affordable price. The Sightmark Photon XT is a newer upgraded version of the original making it a great option if you had the original and loved it or want to get into night hunting. The Photon XT offers six digital reticle options, including 2 Duplex reticles and 2 crossbow reticles. Also includes a German reticle and for range finding, a Mil-Dot reticle. The night vision simply runs on two AA batteries (not included) with a battery life of approximately 4-5 hours. Another feature that makes this scope stand out is the ability to capture the action day or night using the RCA input/output. The LCD display has a 640×480 resolution for clear viewing at night. Shockproof and with a waterproof rating of IPX4, this digital night vision scope will work well in all weather conditions. This is an excellent choice for entry level to night vision, anyone doing predator management or night shooting with a rifle or crossbow. 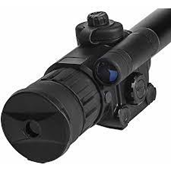 You don’t exactly have to have a futuristic looking digital night vision scope to successfully get out there and hunt predators and varmint at night. By making sure you have optics with good magnification and quality lenses you can have the ability to hone in on these targets in lower light settings. 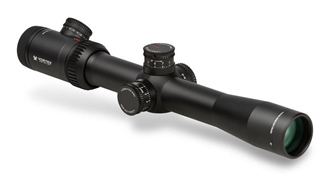 The Vortex Diamondback 35-10×50 Matte BDC Rifle scope is on the list for that very reason. Vortex is known for excellent customer service, but also for their fully multi-coated and anti-reflective lenses- such as the Diamondback Matte BDC that has a 91% transmission of light. 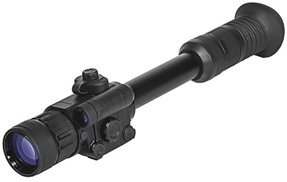 This Vortex is not an expensive scope and is a budget option for someone looking to add a separate predator gun to their camp or a beginner looking to get into shooting. This is however, a rugged gun for the price. 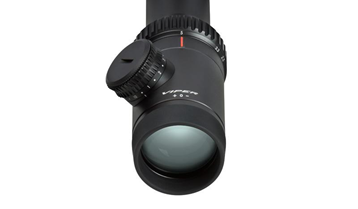 The scope is built with durable aircraft grade aluminum in a one piece design. Like other Vortex scopes, the Diamondback is filled with argon gas with O-ring seals to prevent any penetration of moisture and dust. This also ensures that your scope will stay waterproof and won’t fog up on you, no matter what temperature you’re in. The BDC reticle and ¼ MOA adjustments make this a simple easy to use scope for any situation when accuracy counts. The Vortex Viper PST (precision shooting tactical) 2.5-10x32mm FFP Riflescope, MOA is a step up from the Vortex Diamondback mentioned before. While commanding a higher price, this rifle scope gives you plenty of features demanded of the top level rifle scopes but is much easier on your wallet compared to the rest. You have all of the features Vortex is known for such as top rated customer service (if ever needed) and a manufacturer’s lifetime warranty. Designed and built for hunting, varmint shooting and even long range shooting. The Vortex Viper is a one piece light weight but a very solid rifle scope made of aircraft-grade 6061 T6 aluminum from a single block. Like the Vortex Diamondback, the Vortex Viper PST has lenses that have been coated with proprietary multi-coating to allow excellent light transmission, as well as anti-reflective coating for clear and sharp viewing. 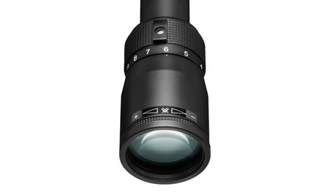 The Vortex Viper comes with XD lens glass that increases resolution and extra-low dispersion. This also protects the exterior lenses from scratching and smudging. The O-ring seals prevent dirt and debris as well as moisture from entering the scope and argon gas purging prevents the scope from fogging up especially for n areas where you must be close to the ground. As a hunter, when seconds count, adjustments in the field are quick and easy with tactical-style turrets that are a little taller and easier to read whether you are 100 yards away or just 10. While there are hundreds of scopes for predator hunters on the market for all different uses, these three best scopes for night hunting coyotes will be great options to add to your predator rifle. 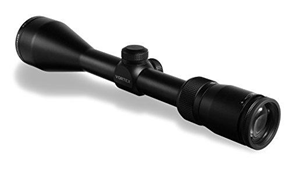 Depending on how you typically hunt and personal preference, you can’t go wrong with one of these rifle scopes for hunting coyotes and other varmint. If you like the tactical style and look, then the Sightmark Photon XT Digital Night vision and Vortex Viper PST Riflescope will probably be your best bet. If having a simple yet rugged scope that won’t break the bank is more your style, then the Vortex Diamondback would be a great scope to add to your gun. All three off these scopes are waterproof for use in any weather situations and have suitable magnification. Either way, you’re sure to get a clear shot on whatever predator is in your crosshairs. Since most coyote hunting is done with smaller caliber flat trajectory shooting rifles, these smaller and lighter rifle scopes make a perfectly paired solution for hunters wanting to add an additional gun for predator hunting. 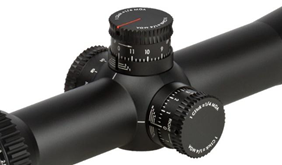 You don’t need to spend over $1,000 to get a quality rifle scope product. 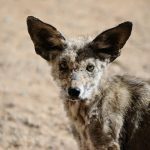 But you do want to buy a scope designed for hunting purposes, which these three are, since coyotes are nocturnal animals that typically appear in low light conditions of the afternoon or morning. 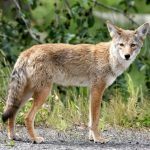 With the ever rising population of coyotes thriving in rural and even urban areas, adding a coyote special to your arsenal can be a thrilling way to fight the spread of these predators. 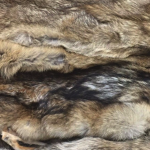 While you can’t always have 100% scent elimination or favorable wind direction, you can tilt the odds of a great coyote hunt in your favor by having quality optics that allow you to hunt later with less light when these animals are most active.